Bordering Woolwich Riverside and Woolwich Common, Wellington Quarter offers the best of both worlds. The four-block town centre development, located within the commercial heart of vibrant Wellington Street, is only moments from the future Crossrail station. 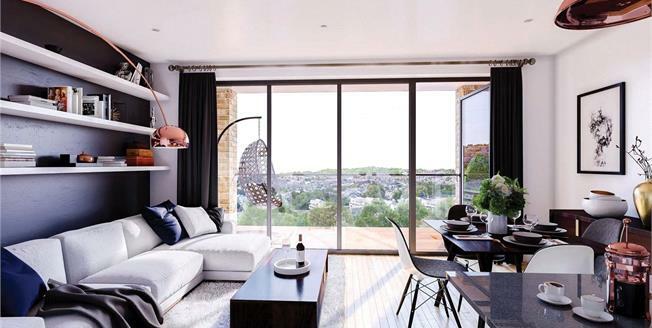 Each high-specification apartment features a spacious interior for comfortable and convenient living. Wellington Quarter is a town centre development just a four-minute walk away from Woolwich Arsenal station and a seven-minute walk to the future Crossrail station due to open in 2018. The development is also conveniently located next to Woolwich library, Tesco and Woolwich Town Hall. The borough of Greenwich is expected to see a population increase of 13.7% between 2016-2026. Thanks to the arrival of Crossrail, house price growth of 39% and rental price growth of 35% is forecast for Woolwich between 2016-2020.